We've already seen the excellent Golden Sun on the Wii U Virtual Console, and next week Japanese players will be getting their hands on the equally brilliant sequel. 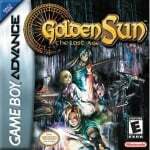 Golden Sun: The Lost Age was originally released on the Game Boy Advance in Japan in 2002 (and a year later in North America and Europe) and picks up where the first title left off. Characters and items can be transferred from the original by use of a password system. The third game in the series, Dark Dawn, followed on the DS in 2010. Are you a fan of this particular title? Are you hoping that it will come to the western Wii U Virtual Console soon? Or do you prefer the other games in the Golden Sun series? Let us know with a comment below. Come on NoA. You know you want my money. It would be interesting to know if Nintendo is closely monitoring the digital sales of the GS games to gauge interest in a sequel. I hope so. Camelot deserves to be doing more with their time than just Mario Golf and Mario Tennis. I'd love to get a new Golden Sun title for 3DS. I still need to finish my playthrough of GS on Virtual Console, but man it brings back memories! I'd not only love for this game to be available in the eShop but to have the same password carry-over as the original. I remember over leveling my original characters (to max some items, money and unlock every spell) and throttling Lost Age's final boss. Which, as any GS fan can attest to, is never the hardest boss in the game. You can be cheap, it's just a long, drawn out process. I'll definitely be buying this when it comes west. I'm still pretty concerned about the release of NES and SNES games which at this point is barely a trickle. I'll wait that they release the sequel then I'll buy both. I hope they release the GS DS too. Now please release the Fire Emblem games. After the latest Smash reveal, I want to play those FE games and I'd finally get a 3DS XL for FE: Awakening. Hopefully the VC releases prompt a Dark Dawn release as well. Then it'll be up to gamers to vote with their wallets as to whether or not we finally see the series end. A 3DS entry in late 2015 and an HD collection on Wii U in mid 2016? Sounds good to me! I loved this game in that the characters you built up and cared about in the first one are now spoiler alert the enemy! Of course, it was only temporary but really let me know that not all video games had to be so one-dimensional with their storytelling. It's another instant-buy for me when it's released. Since the Virtual Console doesn't support link cables, everyone had better get ready to input a 5-page long password to transfer progress from the first game! So excited about this. I'm currently playing Golden Sun on my Nintendo ds lite and currently at the Venus Lighthouse. Give me that game. Yes please and thank you. This ones coming to North America for sure. This is pretty convenient for me since I am currently playing through Golden Sun for the first time. It's well worth the 8 bucks it costs by a long shot. it's so fun to explore the world and find new Djinn to help in battles, but it also helps that the story is interesting and easy to follow. Highly recommend it. You know what's weird I never got into the DS one. I got mad at the story, but I could get into to it now. In anticipation for this one. I know it's out of the series order, but I need a rpg this summer. @Nintenjoe64 : Each VC release has its own emulator as each emulator is tailored to each specific game. With "black market" emulators, you may have noticed that the frame rate may fluctuate wildly from game to game, depending on the computer's CPU/RAM and the quality of the emulator itself. Nintendo has endeavoured to ensure that each VC release plays as closely to the original version as possible, hence the slow release of VC games. I never played any of the golden sun games, so I picked the ds one the other day. And my God, that game is so so bad. I couldn't play more 45 minutes. It was an absolute waste of money. @Nintenjoe64 Don't think that will ever happen, even the best rom emulators have stability, bug, corruption issues and frequent updates. VC is flawless in comparrison so i'd prefer they stick to their guns. I'd be more interested in them creating a Dolphin like Wii upscaler so I can play my Wii games in HD like I can on my PC. On the Wii, the OS appeared to have a very good emulator built in for every console. The ROMs were only ever so slightly larger than their originals (with all the games I have). Nintendo have already said they were working on something like this for Wii U but it seems they are not devoting too much time to it, which is understandable because they've got bigger fish to fry at the moment. Good I just finished the 1st one a couple weeks ago. As mad as I am for the continuous GBA love the Wii U is getting, the good thing about this is that it will make Isaac's Smash Bros. debut that much more likely (although, then again, Lucina and Robin don't help, as Sakurai might not want more swordfighters). @AlexSora89 Ah but he has the Djinn to utilize more of his power and changing his Pdyenergy powers around. I think Robin getting in has opened the door for him. @King47 Don't give up on it! All my want. Come on Nintendo of America! I've still never played the first. Actually, I've never played any. Is the first one a good one too start with? @ModestFan93 it's not worth it. A game that treats me like a brain-dead moron is not worth my time, especially when the game doesn't even start even an hour into the game. @King47 Well you bought the gane might as well complete it to the very end. It does have a rocky start but it sorta gets better after that. And you are playing the 3rd entry so the hands is going focus more on setting the plot up rather then throwing you straight into the action more or less. @Emblem You could play them out of order but you'd be confused as to what's going on exactly. But I'd suggest going with the first one first due to being able to transfer gane completion data to this one. Isaac in Smash? An interesting fact is that Isaac's name in Japanese is Robin. ...and Fire Emblem Awakening's Robin is named is Reflet. Wish this would come to the 3DS instead of just Wii U. Still got to download number 1 but can't wait to do that so I hope we get this too! I'll get it when it comes to the US. I wonder if they will make it easier to transfer your data from the first game to the second. @Nintenjoe64 I think that's actually the way it works with the 3DS VC. Some of the downloads are teensy. Don't forget that the GBA games also come with a high resolution scan of the manual. That's where most of the size comes from. Very rad. Can't get into the DS version because I haven't played these two in so long. No longer! Golden Sun confirmed for Smash!! Hahaha JK, but I still find it quite suspicious that there is still no Isaac assist trophy back... If there is one thing that'll get me playing the games, it's probably the hype of a SSB character reveal. @King47 If it helps any, the DS one was awful compared to the first two (GS and GS The Lost Age). I at least suggest trying the first one on Wii U VC. Yes this makes it so much more likely! Atleast Nintendo realizes that the 2 Golden Sun games were some of the best GBA games and excellent RPGs in their own right. This makes an Isaac introduction so much more likely!! Plus so many people have asked for him throughout the Internet. I think had also read somewhere that he was dropped as a playable character from Melee or Brawl due to time constraints and made an assist, although I am not sure about this one. Although I would somewhat cringe if Matthew is revealed, his game was by far inferior to the first 2 games but addicting nonetheless. Seriously, though, Matthew would be fine for me as well - I mean, thing is the series doesn't have a proper fantasy JRPG character. And Marth is just the closest we could get, which is why I want Isaac so bad. Not to mention Matt would be a nice alt for Isaac, and vice versa. Sweet, now we know Lost Age is coming sometime soon (hopefully.) Perfect time to download Golden Sun and keep myself busy until it comes out in the west. Like a few of the other commentators here, I'm really hoping that a playable Isaac is in the cards. The series deserves proper representation, along with another sequel. Haha, resident fan! Well I don't mind Matthew that much, after all he is a Golden Sun representative but I feel Isaac would represent the series so much more as he is THE major character of both the games plus he also appears in Dark Dawn as the strongest Earth adept. I wouldn't mind a Matthew skin for Isaac though. Or a Felix one, for that matter! I would be greatly disappointed if this never came to the west for the simple reason that they released the first one. The first one wasn't the complete story and to leave someone just hanging would be a complete douche thing to do. I'm not following the various shenanigans going on on Miiverse though. Are there many Isaac fans over there as well? Soon, everyone can enjoy one of the best RPGs, ever! I still hope Isaac is a playable character in Smash. I've been waiting since before Brawl for that. The Lost Age is truly the pinnacle of the Golden Sun series and shouldn't be missed by any RPG/Nintendo fan. Don't know about Miiverse, not really active in there YET. Although I have seen Isaac demands on many forums throughout the internet, was referring to them. Feel free to check Mii (heh heh) out, if you can - Alex 3D is the name. I've drawn a few things here and there. Seeing as I am currently playing Golden Sun on the Wii U E-Shop and loving it you can imagine I am pretty stoked that we will almost certainly be getting the sequel as well! Next on the list is Dark Dawn! Awesome now I can finally use my same passwords from 10 years ago again to transfer my data to this game. Golden Sun is my favorite RPG of all time. I just loved its execution. There were problems... like the exorbitant dialogue... but it's a gem. I have all three and pray for a new one! A 3ds entry would really diversify the 3ds' library of great RPG's. @raith Agreed... I didn't think the DS was as good but still awesome. The only reason I haven't picked up Golden Sun on the VC yet is that I was unsure if the sequel was going to be released as well. I absolutely love the series, but it'd be a shame to only be able to replay half of it on the Wii U.
Hmm, I have yet to beat the first one. @River3636 its not weird. I played golden sun about 5/6 times through, then when the lost age came out i played it for about...a good 4/5 years? start to finish about 10+ times, i loved that game. then the 3rd one came out, i was 21 years old and still amped. as soon as i seem the graphics i knew they had made this one for silly little children. the game was a breeze, the game play was poopoodoodoocacapoopledoople, and the puzzles simple. its not because im older either, i still have trouble with some in the lost age even now.